This is a beautiful Buddhist temple located in Cameron Highland that is very peaceful and definitely worth a visit. 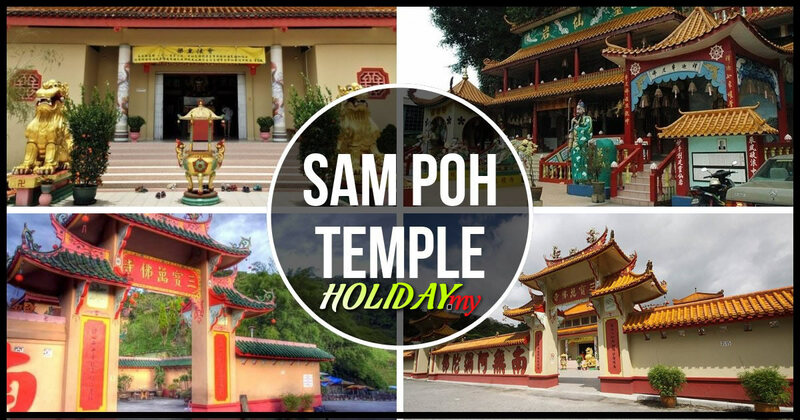 Sam Poh Temple is a famous cave temple that is very famous. The cave was discovered in 1890 by a monk who was traveling through. The monk decided to make it his home and place for meditation. The temple is very highly decorated and definitely worth seeing. Sometimes when visiting you will get to witness the monks chanting while visiting and you will be more than welcomed to stay and listen. Everyone attending the temple makes you feel very welcome. Sam Poh Temple is surrounded by beautiful greenery that is very picturesque. The grounds of Sam Poh Temple are very nice to walk around to see all the amazing plants. You will also notice how many awesome statures with very intricate details decorate the grounds. Take the time to notice how peaceful and serene the atmosphere is. You will definitely love seeing the amazing stalactites and stalagmites located around the temple. Make sure you check out the outdoor pond which is meticulously cared for and add to the wonderful scenery of the temple. You definitely won’t regret your visit with it’s beautiful decorations and it’s very tranquil grounds.